Vishnu Prasad Behra, a magician from Odisha, impressed audience and judges in India’s Got Talent (season 8). Originally hailing from Dhenkanal, Vishnu is a magician in Bhubaneswar and is an entertainer with his magic tricks at a city-based hotel. He was recently seen in the eighth season of India’s Got Talent. 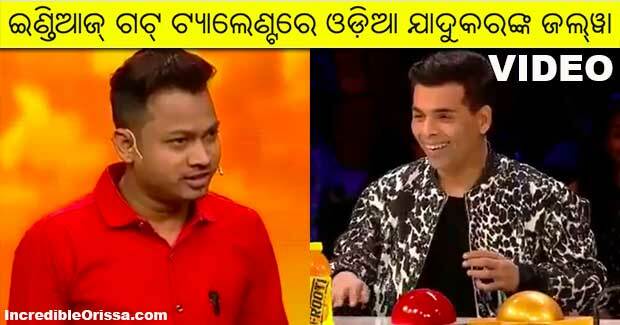 He enchanted the judges Malaika Arora Khan, Karan Johar and Kirron Kher with his magic tricks with cards. Moreover, in a clever ruse, a scared Malaika thought that she was emptying a cup of juice on her head, but it turned out to be empty and stunned the jury panel. Karan Johar complimented his simple personality and also said that his was the best magic act that the show has ever witnessed. This act and his light-hearted banter earned him the golden buzzer (the first golden buzzer of season 8) that sent him directly to the semi-finale as the first semi-finalist of India’s Got Talent 2018. Speaking about his reality television experience, this magician said that the judges and crew admired his talent and cheered him. Celebrity guest judge Vicky Kaushal also asked Vishnu Prasad a lot of questions on techniques of various tricks after his semi-finale performance.